You may not know it, but Capel Street is one of Dublin’s most historically significant streets. It was a fundamental part of an extension of the city north of the river by Sir Humphrey Jervis, who built a large chunk of his estate around St. Mary’s Abbey. In 1676 he built Essex Bridge, (now Grattan Bridge) establishing Capel Street as one of the main links between the north and south of the city. A great contrast to the Capel Street of today, in the 17th and 18th Centuries it was residential, lined with freestanding mansions, each of which had large gardens and courtyards. Later on in the 18th Century these mansions were replaced by buildings closer in appearance to what we see today; the residential properties became places of commerce and trade, and thus Capel Street transformed. It is one of the most unique commercial streets in the city centre. You would be hard pushed to find some of the niche shops that line Capel Street elsewhere. There is, for example, a music shop that specialises exclusively in equipment for electronic music. There’s also one of the last remaining independent pet shops. Capel Camping stands out more than the average Great Outdoors or 53 Degrees North; fully assembled tents, tarpaulins and rucksacks hang from the exterior, covering the shopfront, creating what looks like a vertical campsite. There are almost no franchise shops. Instead, Capel Street is littered with independently owned supermarkets and grocers from around the world. Some of Dublin’s best Asian supermarkets are found in the area. The largest of these is Super Asian Foods. You’ll find a huge variety of ingredients here that you wouldn’t find elsewhere, and for much cheaper than in Tesco and the likes. There’s also a small restaurant to the rear of the supermarket. A little further up you’ll find the Russian, Moldovan, Romanian, Bulgarian supermarket. It’s unlikely you’ll find a bigger, more diverse selection of gherkins than in this supermarket. It’s also home of the largest watermelon we’ve ever seen. 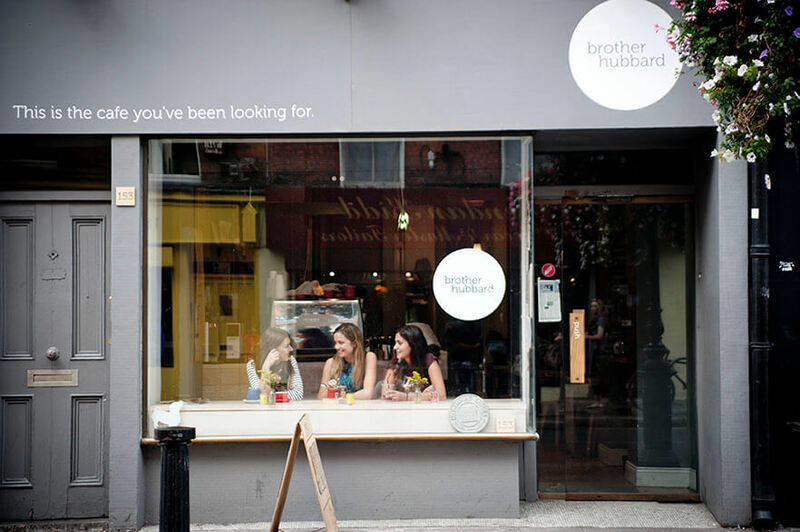 Located at the mid to lower end of Capel Street you’ll find Brother Hubbard and Camerino. 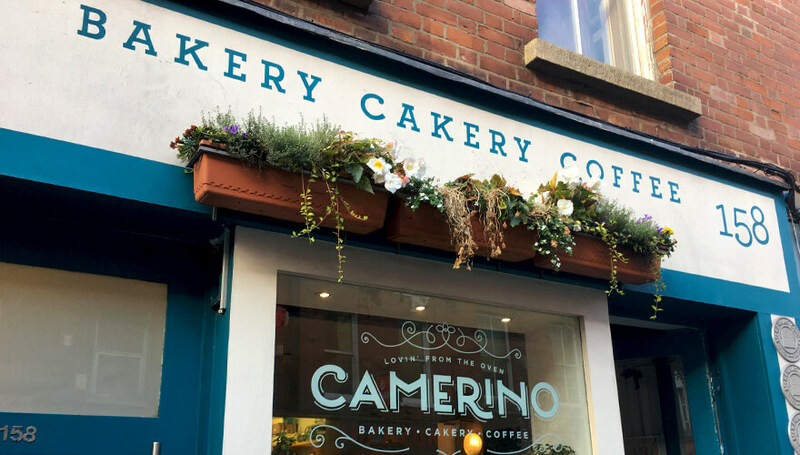 Camerino is a multi award-winning local bakery and coffee shop. It’s a quiet little spot, ideal for escaping at lunch for a seriously tasty sandwich served on their freshly baked bread. Their simple menu changes on a daily basis, so you’ll never get tired of it. The Irish Independent recently listed Camerino as one of the top things to do in Dublin before you die. A few doors up is Brother Hubbard. Over the years it has established itself as one of Dublin’s most endeared café’s, and for good reason. They provide simple but very interesting food made from scratch, enticing even the pickiest of eaters in through their doors. Garrett Fitzgerald has released the Brother Hubbard cookbook to great critical acclaim, drawing people from across the country to try their recipes made at the source. There’s no shortage of international restaurants either. You can get some of the best Japanese, Korean and Chinese food here. There’s a number of Korean barbecue spots, half a dozen sushi restaurants and a surprising variety of noodle-based establishments. This juxtaposition of various restaurants and supermarkets from across the globe demonstrates an essence of Capel Street. Slowly but surely, Capel Street has established itself as one of the most multicultural areas of the city. The vast array of nationalities, communities and cultures established here adds to the consuming energy and vibrancy of the street. At the very top of the street is SEDA College, the English language school. Huge numbers of Brazilians, Italians, Spanish and French students attend classes here, many of whom live nearby. There’s also a lesser amount of Japanese, Chinese and Korean students. The famous Pantibar, located at the lower end of the street, hosts the biggest street party of the year for Pride each summer. The brightly coloured bar and accompanying neon sign are iconic for the city’s LGBTQ+ community and it’s a cornerstone of Capel Street. Directly opposite is Jack Nealon’s, which has operated as a pub since 1905, and recently re-opened under new management. A large open-hearth fire and gold-gilted ceiling are stand out features of a gorgeous interior. Located mid-way up the street, J McNeill’s is a beautiful, traditional Dublin pub; a local’s favourite and a great place for live trad music. It’s also a music shop. It is the perfect place to go with the Sunday paper and enjoy a quiet pint of plain. 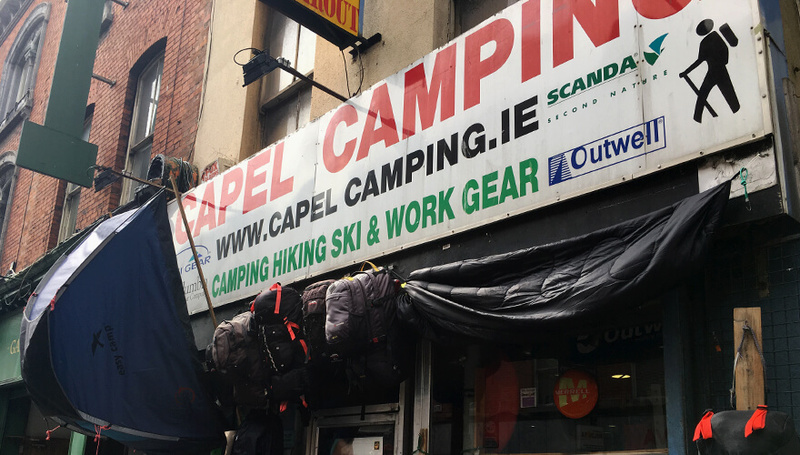 To see pubs like McNeill’s opposite Asian supermarkets, alongside charity shops, adult boutiques and hardware shops is to gaze at the pumping heart of Capel Street.